Both Likud and Yisrael Beytenu's chosen candidates elected by Knesset to serve as reps for the Judicial Selection Committee. After a long and exhausting night the Knesset has elected its representatives to the committees charged with appointing candidates to judicial positions. On Thursday morning, at around 4:45 a.m., Knesset Speaker Yuli Edelstein read the results of the vote for two positions on both the Judicial Selection Committee and the committee tasked with appointing candidates for the Jewish religious courts. Prime Minister Binyamin Netanyahu and Yisrael Beytenu chairman Avigdor Liberman's pact proved successful and MKs Robert Ilatov (Yisrael Beytenu) and Nurit Koren (Likud) were elected to the Judicial Selection Committee, with 67 and 69 votes, respectively. The opposition, however, recorded a victory when it came to the Justice Ministry's committee for appointing religious court judges. While MK Yisrael Eichler (United Torah Judaism) was elected with 97 votes, Zionist Union MK Revital Swid, a former lawyer, narrowly defeated the coalition's recommended candidate MK Nava Boker (Likud). 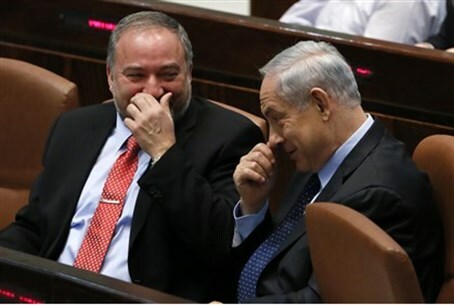 "The coalition tried to intimidate MKs into voting against their conscience," MK Swid said after the vote. "I'm glad it was a secret ballot. This committee affects women and men in Israel. The Knesset chose the person who will do the most for these citizens." MK Ilatov, meanwhile, expressed gratitude, thanking the Knesset "for the trust it's placed in me by electing me as its representative to the Judicial Selection Committee. I will represent the Knesset and serve Israeli citizens faithfully and conscientiously."